Two hours drive north of Sydney to a perfect beach holiday at Hawks Nest. This is a modern 3 bedroom Townhouse witin easy stroll to all amenities and beaches. 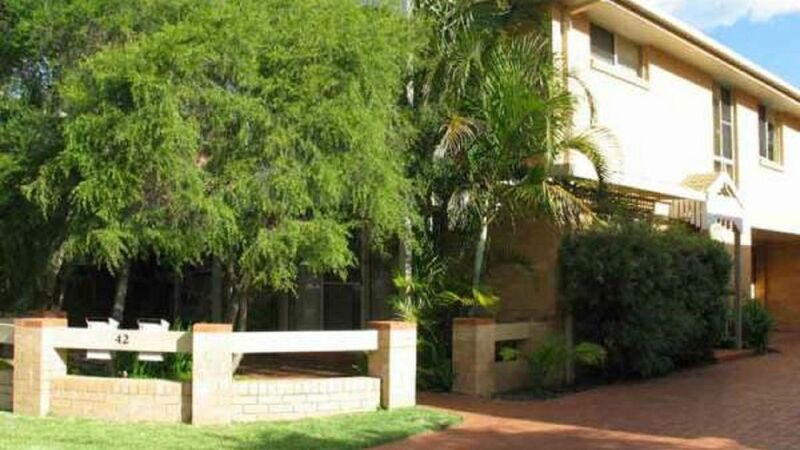 This Townhouse has everything you need for an enjoyable holiday stay. Unit 2 / 42 Booner Street. This Townhouse has three bedrooms upstairs. The main Bedroom with a Queen size bed is large with an Ensuite and Walk in Robes. This room also has a balcony. The Second bedroom has a trio whic is a double bed with a single bed on top. The third bedroom consists of two single bunk beds and also a trundle bed. In all you can sleep 8 people. The main bathroom is upstairs with both a shower and bath. Downstairs is a toilet, lounge dining area, laundry and garage. All furniture is modern and new. There is a television, video recorder, DVD player and Stereo. The Kitchen has everything you need including Microwave oven, cooking and eating utensils and dishwasher. Outside is a BBQ area with Gas BBQ and table and chairs. We enjoyed our stay at the townhouse as it was quite close to all the amenities as well as the beach. Gary was also responsive when we came across an issue which we were grateful for. Overall, a lovely, decent townhouse for a group. There are portable heaters for winter use. The back yard is very small, but private and there is a large outdoor setting. you may need mosquito repellent. The property price does not include linen etc. The booking was well managed and communication with the owner was excellent. Lots of space, great layout. The house is perfect for an excellent holiday, comfortable, near supermarket, beach and pub. And Gary this was always friendly and worried at all. Gary was very pleasant to deal with in organising the accommodation. The premises was perfect for our needs both with regard to facilities and price. I would not hesitate to recommend it and we will certainly consider revisiting in future. We enjoyed our stay. Close to everything we needed. Comfortable, clean, neat and well kept.